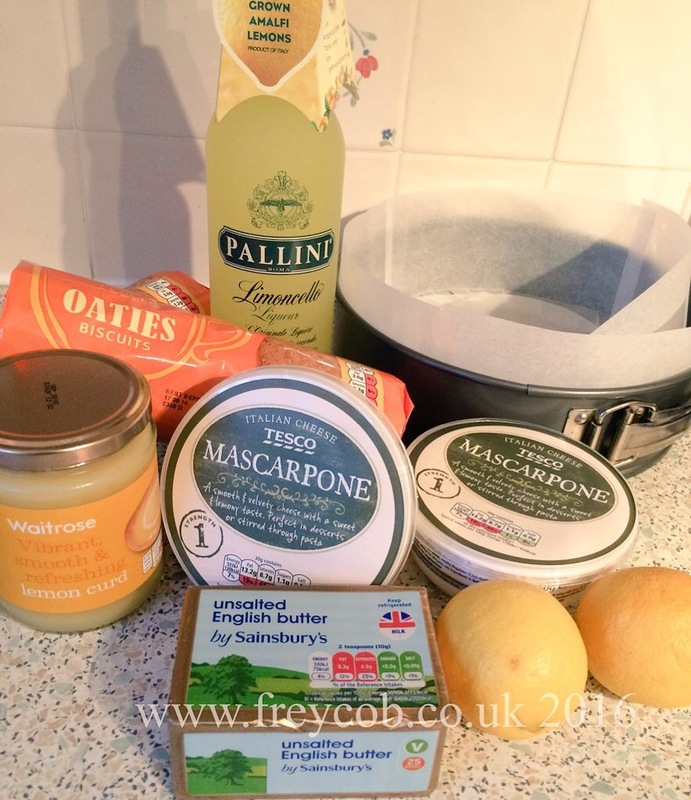 As a member of the BBC Good Food Show Blogger Community, and having worked on a previous Stoves UK recipe re-creation, I was again invited to take part and cook up a storm in my kitchen, with inspiration received from the live demonstrations that the chefs give at the shows. I sat in the audience and watched the very talented Phil Vickery cook eels, but I’m not brave enough to try those slippery little suckers (I used to go fishing with my husband, so know their habitat and slippery/slimy persona). 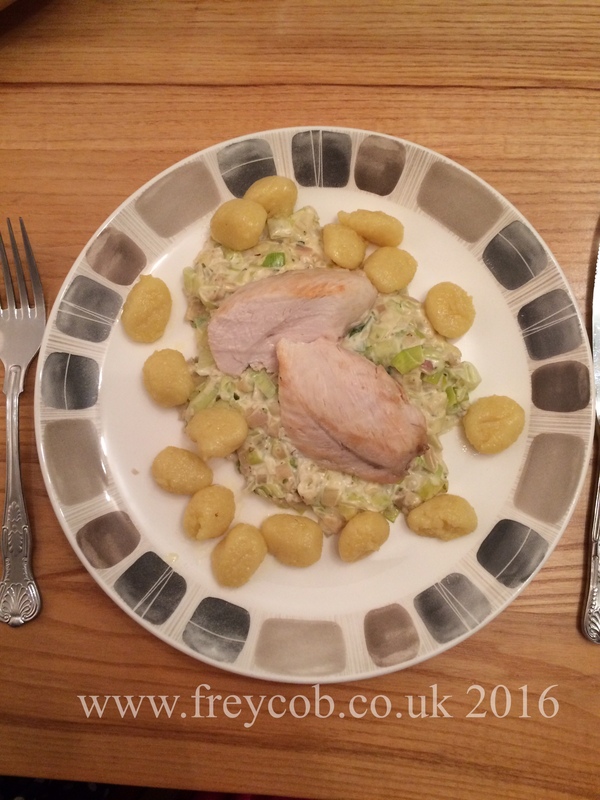 Instead I chose to do two recipes which can both be found on the Stoves Recipe website: (I have not re-published the recipes here; merely the method of preparation, as neither recipe is mine, but I have provided the links to them which you can find on the Stoves website). Following the recipe (link above) and having sealed my chicken breasts until golden, before placing them in the oven to cook, I then sliced my shallots and crushed my garlic, sweating them off until softened but not coloured. 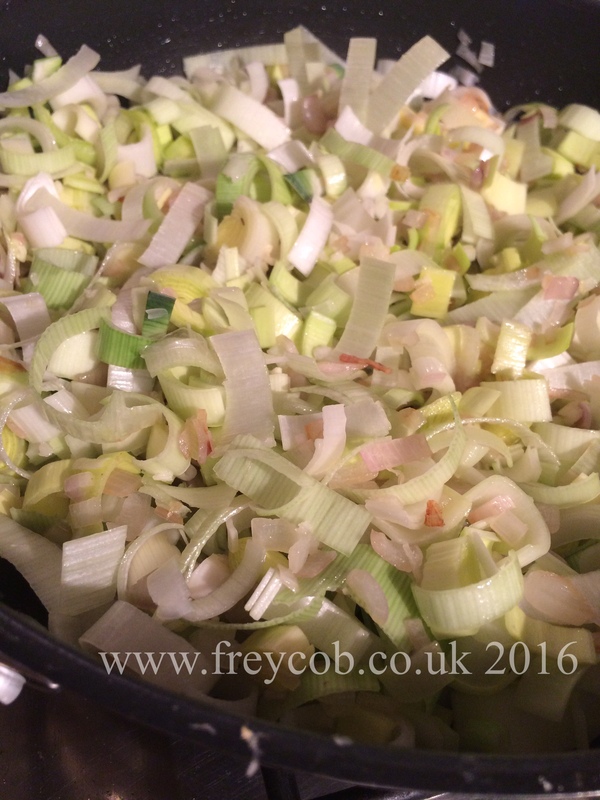 I added my sliced leeks to the pan and continued to sweat the vegetables before adding the cream, reducing the mixture and stirring through the oregano and mascarpone. To my pan of boiling water, I dropped in my gnocchi, removing them when they floated to the top to signify they were cooked. They were then added to a pan of olive oil and butter and cooked until golden. 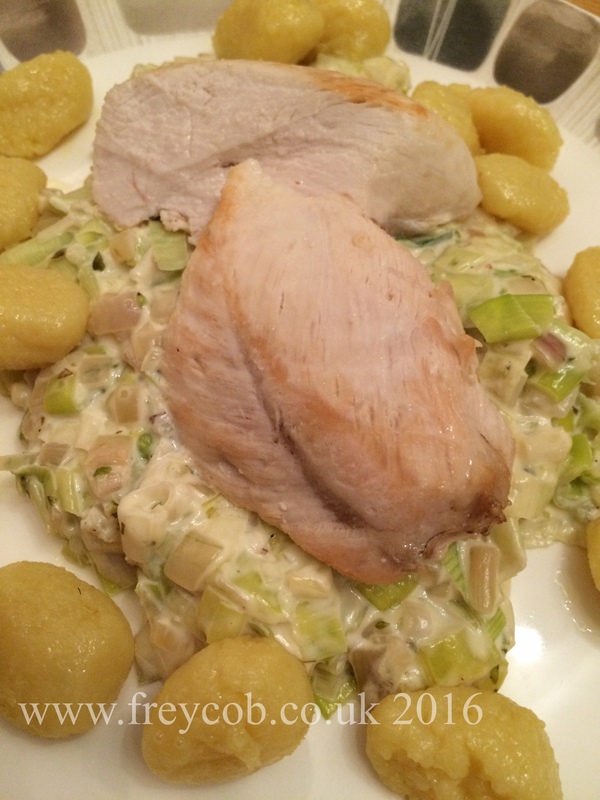 The chicken breasts are served on a bed of the creamed leeks, surrounded by a tumbling of the gnocchi and gives you a dinner worth of a fully tummy and an empty plate. Well, I say a full tummy, but you’re never too full for a delicous dessert, are you? 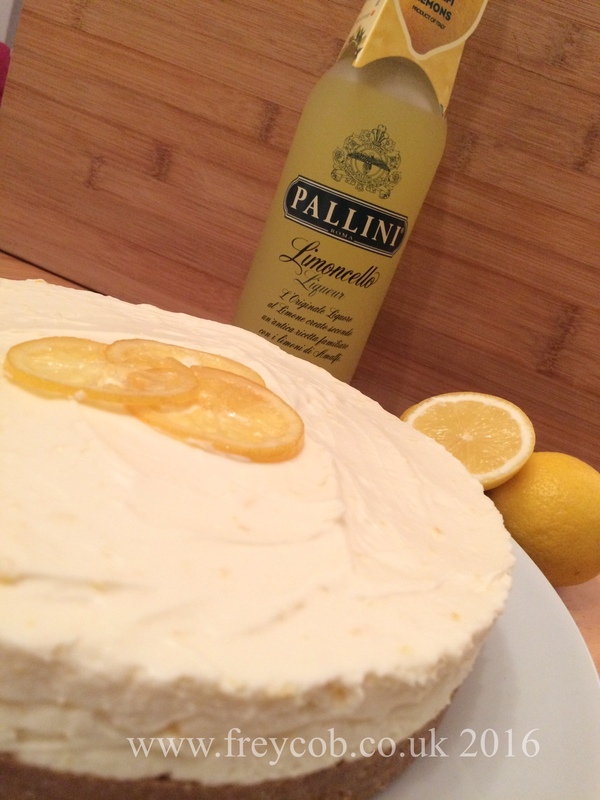 So, for my dessert I chose to make A Glug of Oil’s Limoncello Cheesecake using a bottle of Pallini Limoncello. I lined my springform tin with baking parchment (it makes it easier to remove it from the tin to serve). I crushed my Oaties biscuits (Tesco’s own Hob Nobs) and melted my butter, then mixed them both together, pressing this into the base of my tin, before placing it in the fridge to cool. 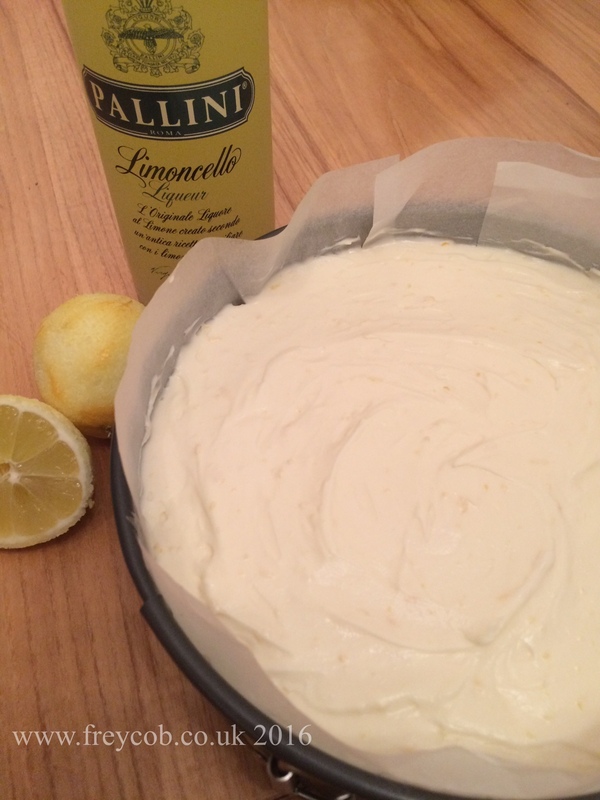 The mascarpone, lemon curd and lemon zest, along with the lemon juice and Limoncello (I added 5tbs, not the 2tbs that are recommended in the recipe), all went into a bowl and were beaten together until thoroughly combined and smooth. This was then poured over the chilled cheesecake base and placed back into the fridge to set overnight. The lemon slices are candied in syrup for the decoration. 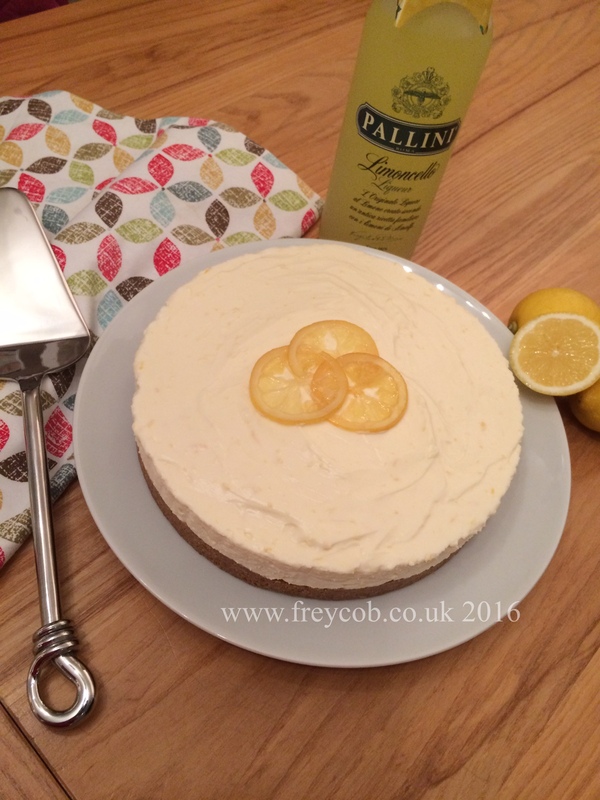 Remove your cheesecake from the tin to a serving plate and serve chilled. 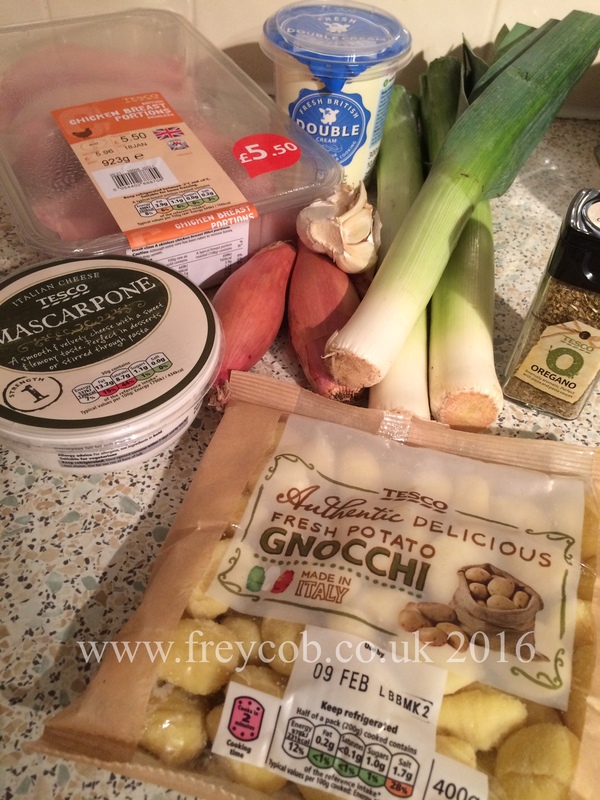 As part of the BBC Good Food Show Blogger Community, I was invited to take part in the Stoves UK cook along, for which I received a Tesco gift voucher to purchase ingredients.